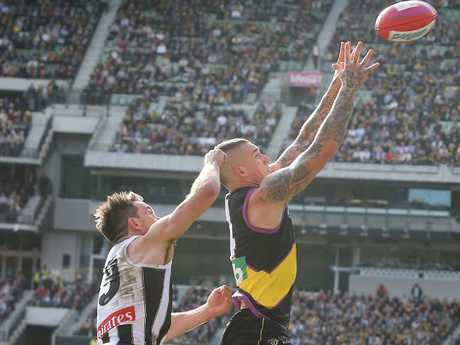 COLLINGWOOD'S Levi Greenwood has vowed to do everything in his power to stop close mate Dustin Martin if he is asked to shadow the Richmond star in Friday night's sold-out preliminary final. Greenwood ruffled Martin's feathers with a hard tag during stages of their Round 19 clash, but isn't yet sure whether he will be given the job this time around, or if he will remain in defence. 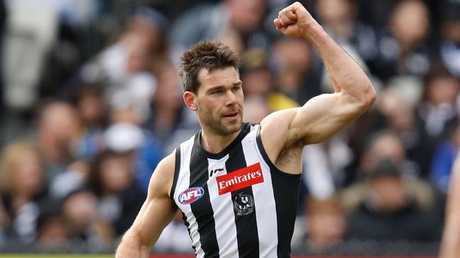 However, if Magpies coach Nathan Buckley pulls him aside today or tomorrow and asks him to stop the reigning Brownlow medallist, the 29-year-old would have no hesitation in taking it on. "We're good mates … (but) I am going to do everything I can to help the team get the win on the weekend," Greenwood said. "At the end of the day, you just do what you are told to do, and you will do whatever it takes to get your teammates over the line. "If that means standing on one of your good mates, that's fine." 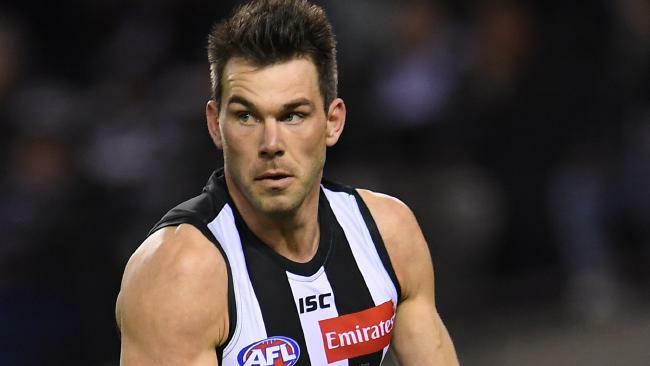 While Martin still has six years to run on his massive contract, Greenwood is playing finals without the security of a new deal for next season, having almost come to the end of his four-year contract with the Magpies. But a big finals performance - particularly if it comes on one of the game's most dangerous stars - would help speed up negotiations on a new deal. "I'd obviously like to sign a contact," he said. "We haven't really been in discussions just yet … the task at hand is a preliminary final." Greenwood got under Martin's skin during a physical encounter in late July, when he tagged him for 51 minutes. In that time, Martin only had six disposals, though when he pushed forward he kicked two goals. Martin was so frustrated that he engaged in a push-and-shove with his Magpies' opponent at several stages of the game. "I don't know if it will happen (a match-up)," Greenwood said. "I think we've been pretty happy with the way the mids have been going, especially with Adam Treloar back. "I've played a bit more in defence in recent weeks. I'll just do whatever I am told." 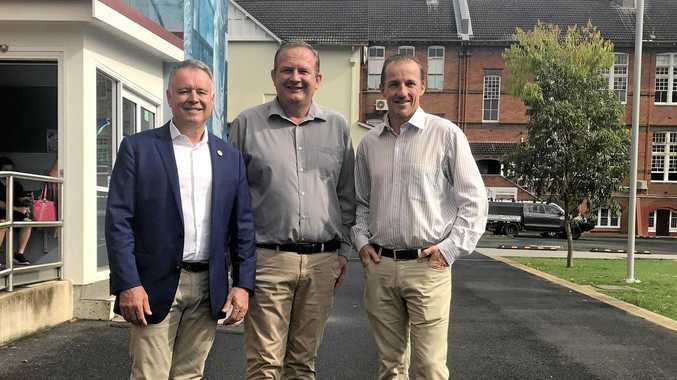 The pair struck up a close friendship through former Kangaroo and Tiger Aaron Edwards, who is Greenwood's former housemate. "He's the best player in the competition at times," Greenwood said of Martin. "If you are able to shut him out, it will go a long way towards winning the game." This finals series is the first piece of September action he has seen since his final year at the Kangaroos, when they bowed out in the 2014 preliminary final. "I don't have any regrets about the decision to leave," he said. "It's been a bit turbulent until now, but it is really good (that) we have been able to play finals and reward Bucks for his effort. "He cares so much about the players, and everyone is playing for him." Greenwood conceded the Tigers would take a power of beating on Friday night, but stressed "we won't die wondering" ahead of the most-anticipated match of the season.